SAP or timed HE fixed shell. Contact fused HE, shrapnel, and star shells also provided. 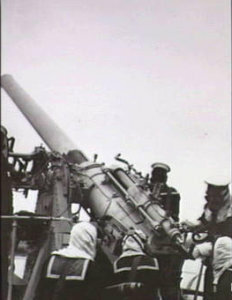 This antiaircraft gun was used on a number of older carriers, cruisers, and destroyers. It apparently was never supplied with VT fused shells.